When you create or modify a CLVM volume for a clustered environment, you must ensure that you are running the clvmd daemon. For further information, refer to 「クラスタ論理ボリュームマネージャ」. For a lower level summary of Red Hat Cluster Suite components and optional software, refer to 2章Red Hat Cluster Suite コンポーネントの要約. 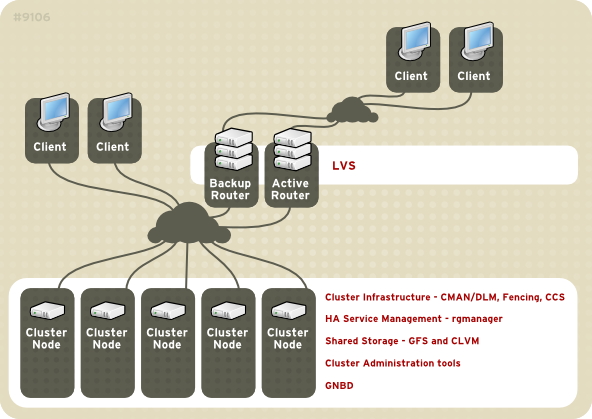 図1.1「Red Hat Cluster Suite Introduction」 includes GFS, CLVM, and GNBD, which are components that are part of an optional package and not part of Red Hat Cluster Suite.